The Caldwell County Commissioners” Court held a public hearing on Monday to discuss with the public the possibility of imposing restrictions on certain firearms in certain areas of the county. a trampoline in a family member”s yard. Shortly after the incident, County Judge H.T. Wright began discussions with Commissioners and members of the community regarding enacting an ordinance to regulate the use of firearms. Maxwell area resident Stacy Arms was the only citizen present to discuss the matter with the Commissioners. Arms noted the size of a lot is not paramount in determining the population of an area. Caldwell County Sheriff Daniel Law cautioned the Court that, although the County has limited power of regulation, that regulation might be necessary. According to Wright, the ordinance, if passed by the Court, will only apply to handguns and rifles, but not to shotguns. In other business, discussion regarding participation in a grant program with the City of Austin Police Department became heated as Commissioners and community leaders disagreed about certain priorities in emergency services. Commissioner Tom Bonn, who has been instrumental in the Homeland Security grants ensuring county-wide communications interoperability since he took office, explained to the Court that the County had received an invitation to participate in a grant program initiated by the City of Austin. The portion of the grant that might be earmarked to Caldwell County would allow for radio upgrades for Caldwell County, the City of Lockhart, the City of Luling and the City of Martindale. In addition, the new radio system would allow for unimpeded radio communications with Travis, Hays and Bastrop Counties. Luling Mayor Mike Hendricks was the first to voice his opposition to participation in the program, which would require matching funds from each of the entities. Luling City Manager Bobby Berger agreed with Hendricks. “With the information we have now, I could not in good conscience go back to my council and recommend participation,” he said. Bonn estimated Luling”s financial contribution to the program to be $37,815, a sum that Berger and Hendricks both say the City of Luling simply cannot afford unless the program will provide some unquestionable benefit. Representatives from the City of Lockhart and the City of Martindale were not present to discuss the issue. However, Sheriff Daniel Law expressed serious concerns about the cost of participation to Caldwell County, which was estimated at $149,543. Because of the absence of Lockhart and Martindale representatives, Bonn moved that the issue be tabled until the next meeting, giving all the players the opportunity to weigh in on the proposal. The other Commissioners sat silent on Bonn”s motion, prompting Wright to offer a second, if only to open discussion on the idea. Precinct 3 Commissioner Neto Madrigal also expressed concerns, which were largely fiscal. 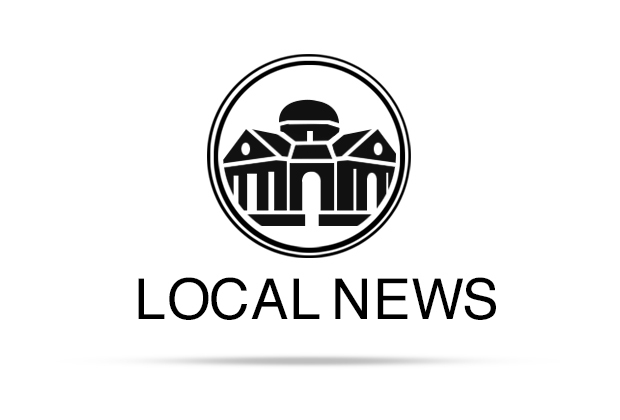 Bonn argued the major player, the City of Lockhart, whose financial contribution would be upwards of $159,000, should have the opportunity to weigh in on the issue. However, Bullock moved against participation in the program, a motion which won on a 3-1 vote. After the vote, Bonn returned to the floor with a motion to buy four traffic counters at the cost of around $4,000. He suggested the counters would help the Unit Road System to prioritize road and street repairs needed throughout the County. Unit Road Administrator Dwight Jeffrey informed the Court that, even with the four road counters, it could be any time frame from a year to 18 months before any data was available to analyze, and he warned that the counters would likely be vandalized and need to be replaced repeatedly before any list of priorities could be made. Jeffrey and Law suggested that Unit Road employees or off-duty deputies could be recruited to monitor traffic. Still Bonn introduced a motion to approve the purchase of the counters. Bonn”s motion was again defeated 3-1, with both Madrigal and Precinct 4 Commissioner Joe Roland citing other fiscal concerns, and prompting Bonn to ask the Commissioners for another viable solution. The only suggestion offered was to Let Jeffrey and the Unit Road System “do what they need to do.” Bonn’s response to the suggestion drew fire, not only from the Commissioners” Court, but from Jeffrey as well. The Commissioners approved a lease agreement with The Texas Health and Human Services Commission and the Department of Family and Protective Services for the space the organizations occupy at the Scott Annex building. They entered an agreement with the Caldwell County Appraisal District for the use of the County”s FuelMan gas cards. The opted to leave the county”s burn ban off, but discussed the possibility of banning certain aerial fireworks during the Fourth of July season. The County paid bills in the amount of $202,622.91. Bonn voted against paying the bills. The Caldwell County Commissioners Court meets on the second, third and fourth Monday of each month at 9 a.m. in Room 100 of the Caldwell County Courthouse.